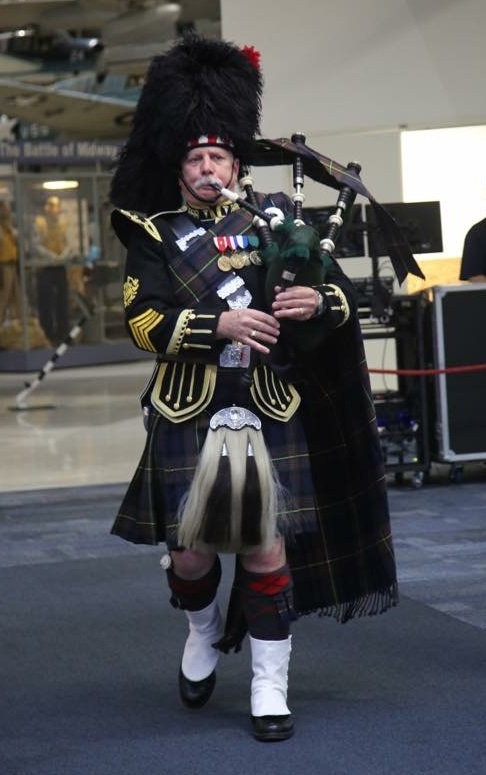 bagpiper.net: United States, Florida, Pensacola; hire bagpipers! Located in Pensacola, Florida, and her emerald water with sugar sand, "Piper V" (Michael) specializes in "beach weddings", military "dress mess" and memorial events. Whether on the beach or in one of the many nearby historic facilities, he is available to perform in casual kilted outfit, formal evening/black tie or Scottish Military attire. Venues include * Naval Air Station Pensacola * Panhandle Beaches * USMC annual Corps Anniversary Celebration ("USMC Birthday Ball" formal mess). Side drummer available if desired. * Old Christ Church * Barrancas National Cemetery * Fort Pickens * Burns Night celebrations * Catholic, Presbyterian, Baptist and non-denominational churches in the area. Piper V is an active piper who regularly performs with the McGuire's Irish Pub Pipe Band and is its Pipe Major. Look at more listings from: Location: United States, Florida, Pensacola?